Randy graduated from the University of Texas at Tyler in 1981 with a Bachelor of Business Administration concentrating in Accounting. He began his career with a local firm focusing primarily on small businesses where he began to develop a strong knowledge of financial planning, investment analysis and tax issues. 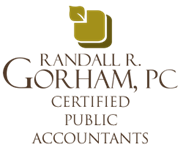 In 1986, he earned his CPA license and after five years in public accounting, Randy founded Randy R. Gorham, CPA PC. Randy is a member of the Texas Society of Certified Public Accountants. His current community involvement includes member of the Jacksonville Rotary Club and Board Member, Founding Board Member of the Jacksonville Literacy Council, Board Member of the Jacksonville United Fund, Advisory Board Member of Living Alternatives of Jacksonville, Board Member of Trinity Mother Frances Hospital Jacksonville, and City Councilman, District 3 for the City of Jacksonville. Past community involment includes former board member of the East Texas Chapter of Certified Public Accountants, and past board member of the Cherokee County Country Club, where he served as Treasurer and President. 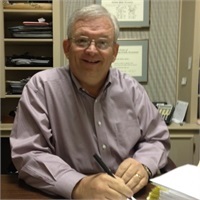 Randy was named 2008 Businessman of the Year by the Jacksonville Chamber of Commerce, and was voted 2010 Outstanding Citizen of the Year by the Jacksonville Chamber of Commerce. Randy has been married to Cheryl for 40 years. They have three children and six grandchildren. In his time off, Randy enjoys fishing, spending time with his family, and watching Aggie football.